... is the name of a group of musicians consisting of Charly Schmid: sax, Gunter Wagner: acc, H.-G. Gutternigg: tuba and Ewald Zach: drums. A lustful and experienced co-operation, based on the principles of musical interaction, open minded thinking and the incorporation of different styles. 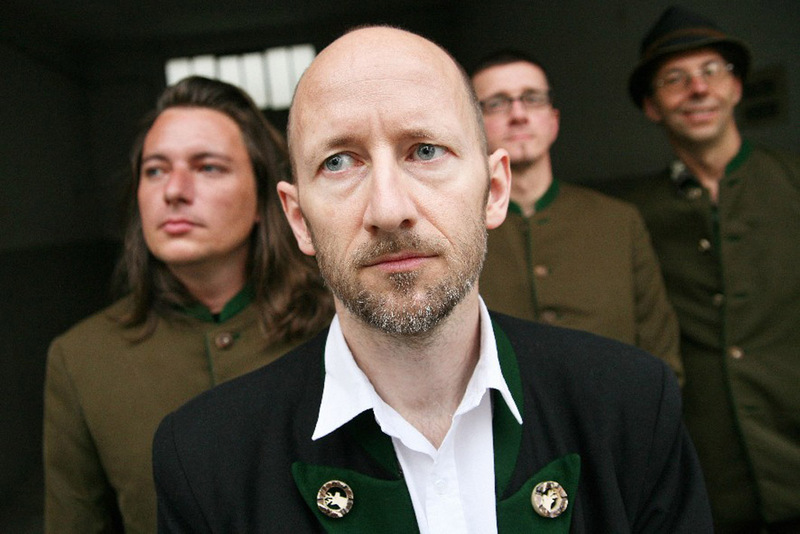 Their first cd "Worldwide Landsleut" demonstrates their gratitude to the traditional folk-songs of Upper-Austria from the Anton Bruckner era (or so). The recording presents the four musicians in a refreshing way which escalates to an interesting musical level – at times playing with a touch of irony and humour and above all a swinging easiness. All of them studied at the Jazz Department of the Anton-Bruckner University Linz. 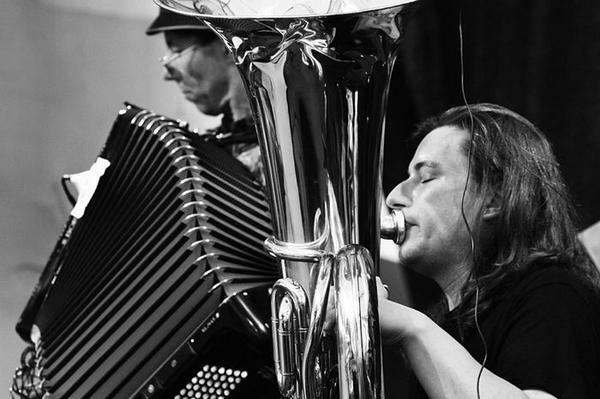 Although the line-up appears to present a typical - if not classical - jazz quartet, the piano has been replaced by the accordion and as the bass instrument a tuba can be heard. Therefore – combined with saxophone and drums – a compact sound with lots of interesting variations has been created. 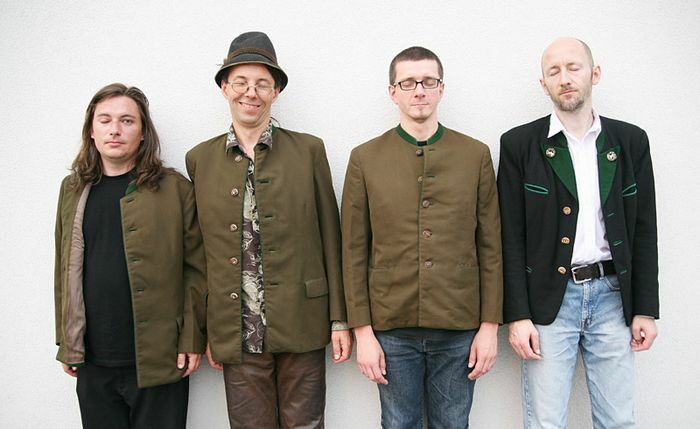 References: the band startet as a project, commissioned by the tourist agency of Upper Austria - entitled: Upper Austria: tradition & innovation. 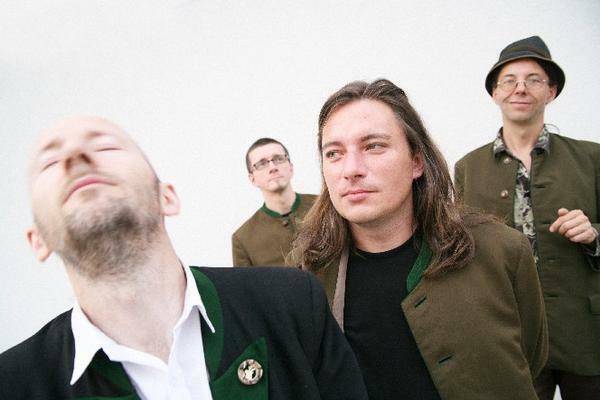 As a result we have arrangements of traditional folk-songs from Upper Austria put into a context of jazz and improvised music, at which we care to set an high level on respect for the songs from earlier generations. 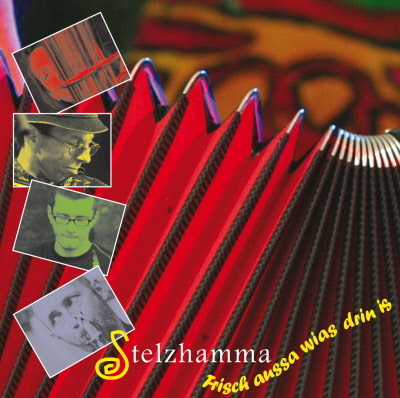 "What an exciting trip I was taken on as I listened to Stelzhamma's CD. This is truly an all inclusive and Worldwide view to composition. Particularly appropriate with the use of this instrumentation. An instrumentation used in the folk music of many countries around the world. While the group may be paying hommage to Upper-Austrian folk songs, I believe this CD will compliment many different world cultures."